You'll be £16.99 closer to your next £10.00 credit when you purchase Major & Mrs Holt's Concise Illustrated Battlefield Guide - The Western Front - North. What's this? 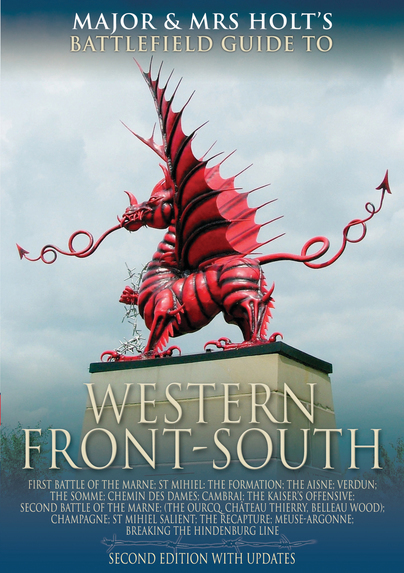 Following in their best-selling series of Battlefield Guides this is a companion volume to the Holts' Western Front South Guide. Between the two they cover the main WW1 Western Front battlefields. This book covers 15 of the most significant battles of the northern area from Nieuwport to just north of The Somme. Whether travelling on the ground or in the mind, the reader is carefully guided through the battlefields with a mixture of succinct military history, cameo memories and stories of VCs and other personalities, interspersed with references to the literature and poetry of the war. This guidebook is based on Tonie and Valmai Holt's 30 years experience of researching, guiding tours and writing about the area, with their unique blend of male and female points of view. It is written to the high standards that have come to be expected of these highly respected authors who are credited with pioneering the modern battlefield tour and whose guide books are referred to as 'The Bibles' . As well as the maps and the well detailed tours, the book is also filled with a host of modern colour photos of points of interest that are to be seen on your way round. These include memorials, cemeteries, buildings and many individual bunkers that still remain on the battlefields. I still find it fascinating, that even after 100 years, another war and rebuilding that had to take place, there is still so much remaining to be seen for the visitor. There are additional details about both the Allied and the German War Grave cemeteries and the organisations which look after them. Add useful notes on where to stay and eat while on your travels, this is just the sort of guide to keep with you in your car or your bag. There are a number of tour companies who can take you on battlefield trips but I for one who likes to do the trips in my own time but still with the benefit of a knowledgeable guide to assist me and this is certainly a fine example which I will be using. 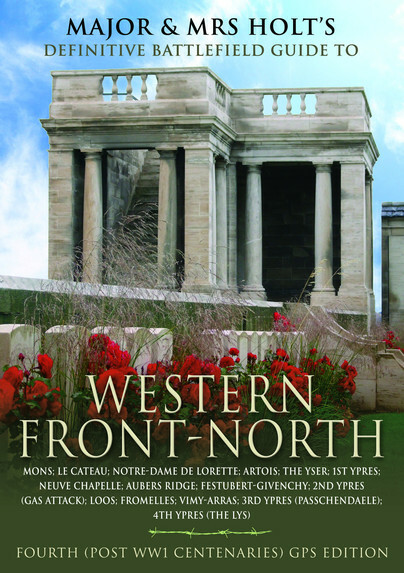 Well presented & highly visual guide to the front from the Flanders coast to Arras. Great for the first time Battlefield visitor.